Learn what you need to know about towing a car and how to tow your car safely. At some point in your life, odds are you may need to tow a car. Whether you’re moving to a new state or simply looking to pull something smaller behind the motor home, moving two vehicles with one driver can ease logistical headaches. That is, so long as you have the right equipment and knowledge necessary to get everything where it’s going safely. Some towing methods are better for some vehicles than others, and if you’re not careful you may end up causing thousands of dollars of damage to either the tow rig or the car on the hitch behind you. With just a little preparation and research, you can get where you’re going without a hint of trouble. Before you decide to hook another car behind you, make sure you’re comfortable towing. Pulling any sort of trailer or vehicle requires a different mindset while driving, and you’ll need more time to accelerate, more distance to stop and more space to perform otherwise easy maneuvers like U-Turns. If you can, take some time to practice backing an empty trailer or tow dolly in a parking lot. It may seem confusing at first, but remember that if you place your hand at the bottom of the steering wheel, the trailer will go the direction your hand moves as you turn the wheel – left if you turn the wheel to the right and vice versa. In the end, nothing beats a little bit of seat time. If you think you’re ready to hit the open road with another vehicle behind you, go ahead and select which type of towing method is best for you. The two most common types of towing setups are a trailer, which keeps all four wheels of the vehicle being towed off the ground, or a tow dolly. Dollies only keep the front wheels off of the road, leaving the rear wheels to roll freely on the pavement behind you. Which method you choose will depend on what kind of vehicle you plan to tow. 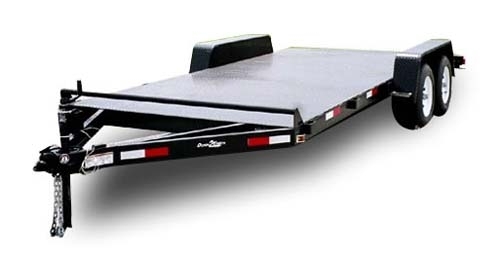 Trailers tend to be heavy – adding even more strain to your tow vehicle’s work out. But keeping all four of your follow vehicle’s wheels off the ground can greatly reduce the likelihood of mechanical damage. In general, trailers are best for all-wheel drive of rear-wheel drive vehicles. Simply load the car, secure it to the trailer and roll on. 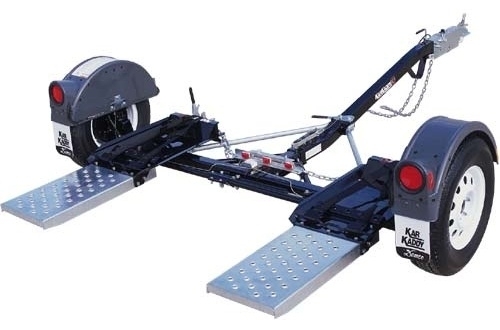 Tow dollies are much lighter than full-blown trailers, though since the follow vehicle’s rear wheels roll along at the same speed as the tow vehicle, pulling an all-wheel or rear-wheel drive car or truck means you will have to disengage the prop shaft to the rear wheels or risk severe damage to the transmission or differential. Front-wheel drive cars don’t have this worry because the rear-wheels simply follow along under normal circumstances anyway. Make sure the truck or van and the hitch can handle the task of pulling another vehicle. Hitches carry various ratings based on what sort of load they can handle, so be sure to check that yours is within its capabilities before setting off. Tally up the total weight of the car you plan on towing and the weight of the trailer or tow dolly and add them together. If the final figure is within 50 pounds of your towing capacity, it might be in your best interest to get another rig that can handle the weight. Keep in mind that any extra cargo or passengers will add even more strain to a vehicle that’s already working harder than it should be. Once you’ve decided what sort of tow setup will best suit your needs, you can load your vehicle. This is one of the more dangerous aspects of towing, so it will help to have an assistant to keep an eye on everything. First, connect either your trailer or tow dolly to your tow vehicle, including lights. You may need a wiring harness adapter, but they’re fairly cheap and readily available from parts stores. 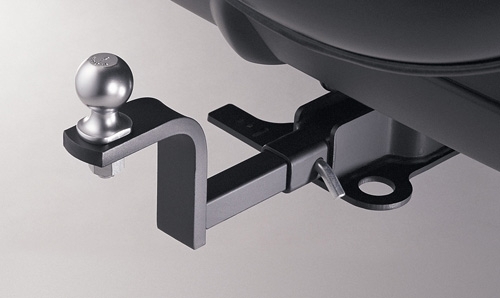 With everything connected, lower the tow device’s ramps and line them up with your follow vehicle’s front tires. This is where your spotter comes in handy. Have them watch for any chance you may miss a ramp or any clearance issues. If everything’s clear, gently proceed up the ramp with a steady foot on the throttle. If you have to back off and try again, do so smoothly, but try not to stop and start while you’re on the ramps. Be careful not to use too much throttle as you may overshoot the trailer and cause damage to just about every piece of equipment involved. Once on the trailer, position your car so that the weight is evenly distributed over the trailer’s axles. 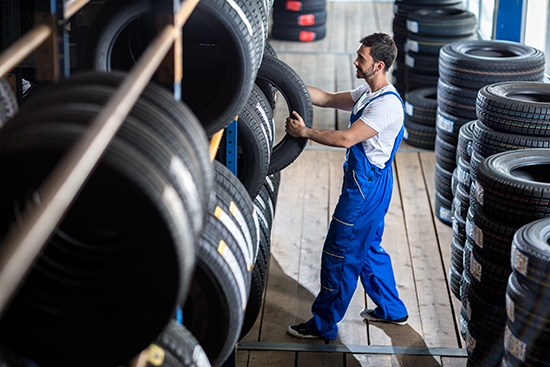 If your car is too far forward on the trailer, you could be putting undue stress on your tow vehicle’s suspension and drivetrain, as well as causing there to be less weight on the front tires. Less weight on the front tires means steering is less effective – definitely not something you want when towing. Similarly, if the car’s weight is positioned too far back on the trailer, it could cause the tongue of the trailer to lift the rear of your tow vehicle, causing a loss of traction during sudden maneuvers. Once the vehicle is safely onboard, things get a little different depending on whether you’re using a trailer or a dolly. With a trailer, you can put your car in gear and set the emergency brake. If the trailer is a rental, there are likely tie downs that fit over the vehicle’s tires. 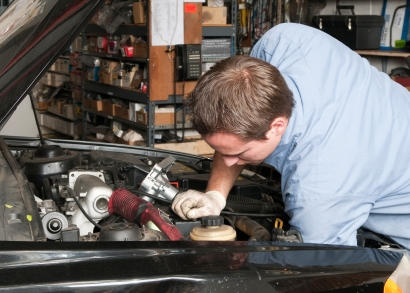 Make sure these are secure without any kinks and you should be ready to hit the road. If the trailer is generic, you’ll need to secure the vehicle by means of additional tie downs. Make sure to secure the car from both the front and rear, with your ties pulling in opposite directions. This keeps the vehicle from rolling forward and backward on the trailer. If both ties are pulling in the same direction, you’ve got a problem and will need to reevaluate your system. Make sure to connect to good, solid mounting points on both the car and the trailer, and stop to check everything once you’ve gone 10-15 miles. If you’re using a tow dolly, you can put the car in gear once it’s onboard, but do not set the parking brake. If you do, you’ll lock the rear tires of your car and have a real problem within minutes. Securing the car to the dolly is similar to a trailer, with most rental units having over-tire type tie downs. Make sure everything is secure and you’re set. While you’re towing, be sure to check your mirrors often to look for loose tie-downs or other problems. 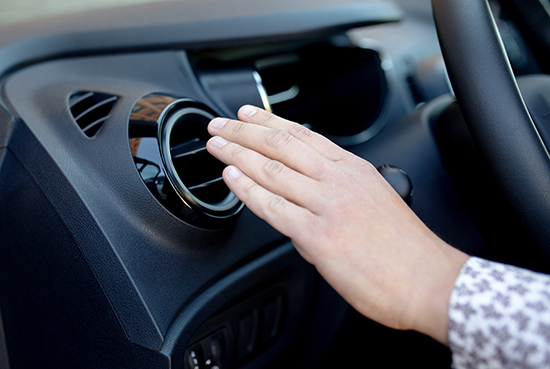 Keep an eye on your vehicle’s gauges and stop if your vehicle’s temperature rises suddenly or oil pressure drops quickly – it could mean serious mechanical failure. Check everything over each time you stop for fuel or food, and you and your car should get where you’re going without a problem.